I am beyond THRILLED to share that Future Founders was selected as one of four organizations to receive continued support from the Blackstone Inclusive Entrepreneurship Challenge. This $400,000 grant over two years will enable us to scale our Residency program, which helps diverse Chicago millennials launch businesses. This success is a testament to the power of our community and the hard work our Residents, Growth Coaches, Board members, mentors, and supporters showed during the first year of the program. We are forever grateful to Blackstone Charitable Foundation, World Business Chicago, and ChicagoNEXT for their investment in our work. We look forward to expanding our partnership and to seeding more diverse founders right here in Chicago. Thank you all for your continued support. Let’s keep the momentum going! Today, the Blackstone Charitable Foundation and ChicagoNEXT of World Business Chicago (“WBC”) announced the next phase of the Blackstone Inclusive Entrepreneurship Challenge (“Blackstone Challenge”). 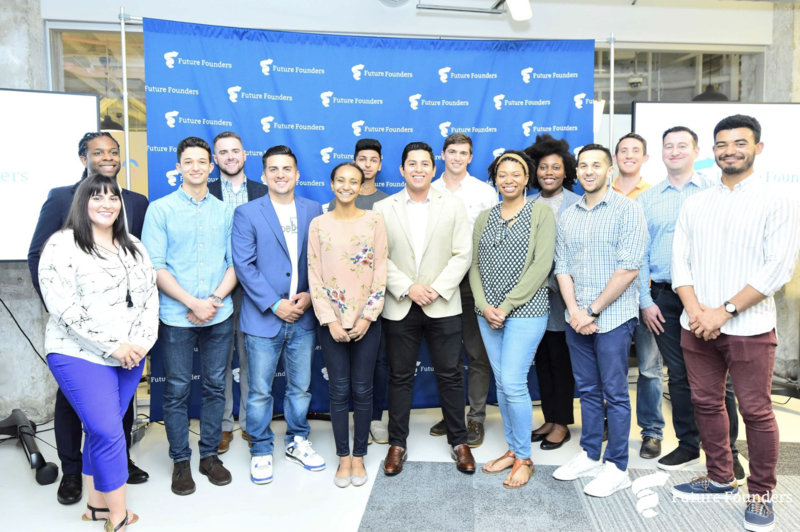 For the next two years, Bethel New Life, BLUE1647, Bunker Labs, and Future Founders will be awarded grants totaling $1.7 million to refine and expand their programs that support traditionally underserved entrepreneurs.